Social engagement through civic group activities is associated with better cognitive function at age 50, according to a study by researchers at the University of Southampton. The study, which is published in BMC Psychology and included 9,119 men and women from England, Scotland and Wales, found that a person’s participation in civic activities such as being a member of a political party, an environmental group, neighborhood watch, a voluntary service group or other community based groups, at ages 33 and 50 was associated with better cognitive function at age 50. Additionally a person’s cognitive ability at age 11; frequent physical activity; higher educational qualification and female gender were also associated with better cognitive function at age 50. Having low socio-economic status as a child and reporting worse mental well-being in adulthood were both associated with worse cognitive function at age 50. Previous research has suggested that social integration, social engagement and strong social networks may be associated with better cognitive outcomes. Furthermore, social capital – opportunities within communities for social, leisure, recreational activities, voluntary work or group membership – have been shown to be associated with enhanced wellbeing and better reported mental health, as well as reduced levels of stress, loneliness and isolation. However, few of these studies followed participants throughout their life. 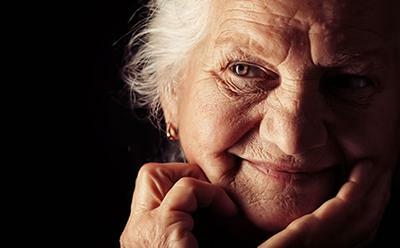 To investigate associations between people’s social engagement throughout their adult life and cognitive function at age 50, the study used data from the British National Child Development Study (NCDS), a general population sample in England, Scotland and Wales. Baseline data was collected at birth in 1958 and study participants were followed up at several points later in life. At age 33, 83 per cent of all respondents reported that they did not participate in any civic organization. This number dropped to 64 per cent at age 50. Participating in one civic organization was reported by 14 per cent of respondents at age 33 and by 25 per cent at age 50. Out of the overall sample, 8,129 participants completed cognitive tests at ages 11 (reading, writing, maths, and general ability tests) and 50 (memory and visual attention, speed and concentration tests). The researchers found that almost a third of the sample population’s cognitive ability deteriorated between ages 11 and 50, while remaining unchanged in less than half of participants (44 per cent). A quarter of participants showed improved cognitive ability at age 50. Those who reported that they participated in civic groups at age 33 and 50 scored higher in cognitive tests. Also, participation in each additional civic group was found to further increase scores on cognitive tests. The present study used a large, longitudinal cohort with strong initial response rates, allowing the researchers to take into account complex interactions between social and biological processes and to adjust for various confounding factors. However, observational studies like this one cannot show cause and effect, but can describe possible links.